Welcome to Religious Exploration for all ages which aims to connect hearts, heads, and hands while building our Beloved Community. Build a sense of warmhearted, extended family where everyone belongs, everyone contributes, and everyone benefits. In our multi-age model, babies and toddlers are cared for within our community of young people from the start. We have trained staff and screened volunteers to make sure that children are both safe and engaged. Children over age 4 are encouraged to take responsibility for their place in community by participating to the best of their ability, helping others as they are able, and taking time apart when needed. Older children are guided towards leadership, and their input is sought when choosing activities for future sessions. Our program consists of core learning themes punctuated by special events, garden days, and fellowship. The children begin together with ritual and check-in led by the older children, followed by learning theme activities that they may choose by interest and inclination. There are specific learning sessions that are age-specific, such as Our Whole Lives sexuality education, Coming of Age, or Youth Group. We otherwise operate as an integrated community taking multiple learning styles, abilities, and interests into account. 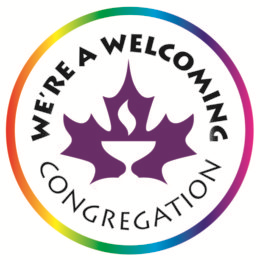 As Unitarian Universalists we affirm and promote the inherent worth and dignity of each person and we recognize that when it comes to the Original People on this land, this principle has not been upheld. Please contact Kiersten for more information. Many people find balance and harmony in life through a mind-body-spirit practice, such as yoga or meditation. These practices build richness into our day, and serve as touchstones in moments of stress. What better time to learn centering than when we’re young? 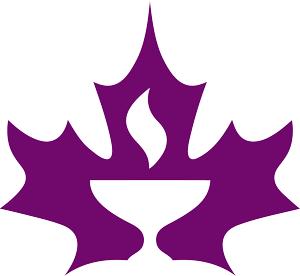 We’ll explore yoga for children, simple blessings, guided visualizations and mindfulness practice. Each faith has its own festivals and observances, and their stories and rituals help us experience and understand many ways of being. Each month we will be taking opportunities to come together in fellowship. To explore the importance and meaning of ceremony, to commune together, to deepen our ability to find meaning, peace, and moments of stillness in our busy lives. We will connect with each other, the larger church community, and with the natural world. We will explore thankfulness, ancestors, labyrinths, solstice and more. Throughout the year you’ll find us outside in the children’s garden. We plan, plant, tend, harvest, eat and save seeds from our own vegetables and flowers, with help from experienced garden mentors. We sharpen our observation skills, develop a profound sense of seasons, cycles, and ecosystems, and enjoy the abundance and marvelous design of nature. And we practice meaningful leadership by contributing food and flowers to service initiatives, and by growing a garden that is inviting and educational to all. The Sunday programs are generously funded by our congregation, parent donations and volunteer time. Drop-ins are always welcome, but if you like what we’re doing please register with us. Registration helps us get to know you, keep you in the loop and provide a program suited to our registrants. If you choose to support the programs with a donation, or an offer of your time, these are most welcome. The Religious Exploration Program is a cooperative effort. We have paid staff filling the Lead Teacher roles, but volunteer support within the program is still a vital ministry. There are many ways to support the faith formation and church lives of our youngest community members. Click the Volunteer Button for a form to indicate your interests, skills, and potential commitment. Move through the sections to find a role that fits your style, mood, and availability. Parents and/or guardians of children under 9 years old, if your child will be joining the program today, please sign your children in with our RE Staff in on the main floor of Hewett Centre, anytime after 10:45 am on Sundays. They may then join you for the beginning of service and process out after the story for all ages. We ask that the same family member who signed your children in also pick up directly after the worship service. A typical Sunday begins with adults and children gathering in the sanctuary together. After opening words, greeting our neighbours, and an opening hymn, the children are invited up to the front to listen to a story for all ages. Following the story, the children are sung out of the sanctuary and proceed to their sessions, located across the courtyard in the Hewett Centre. Children are always welcome to remain in the service with you. On your first visit, you may wish to accompany your children to their classrooms and introduce them to their teachers. We do find that a large number of adults in the classroom tends to inhibit participation, and we encourage you to return to the service. If you need to stay in order for your child to engage, please follow the visitor guidelines that the teachers will provide. After the worship service, please pick up your children in the Hewett Centre. We also have occasional intergenerational services where adults and children all attend church together. On these days, there will be no children programs, but child care for those 3 and under will still be available in the playroom. The Director of Religious Exploration sets the overall direction of the Children and Youth programs, with supervision from the Minister and input from colleagues, parents and the congregation. Providing quality programs takes the work of many hands and we rely on the assistance of parents and other interested adults.